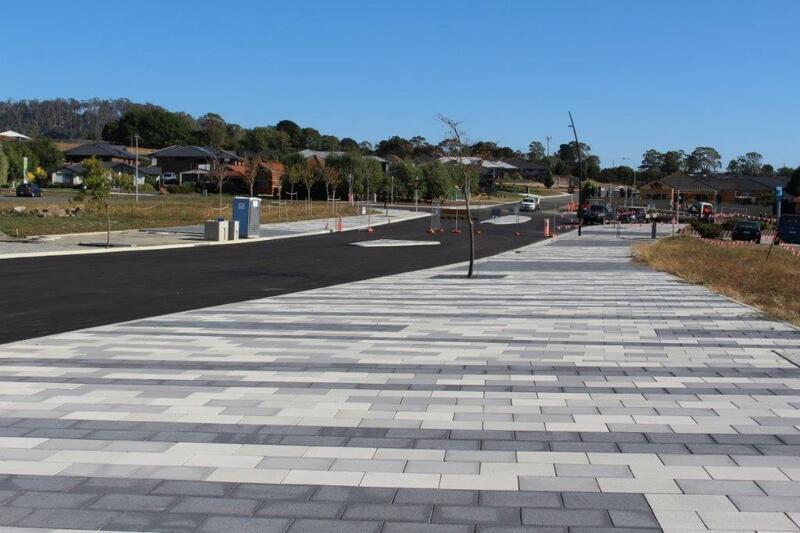 The City of Launceston is redeveloping the former industrial land located on the northern bank of the South Esk River. 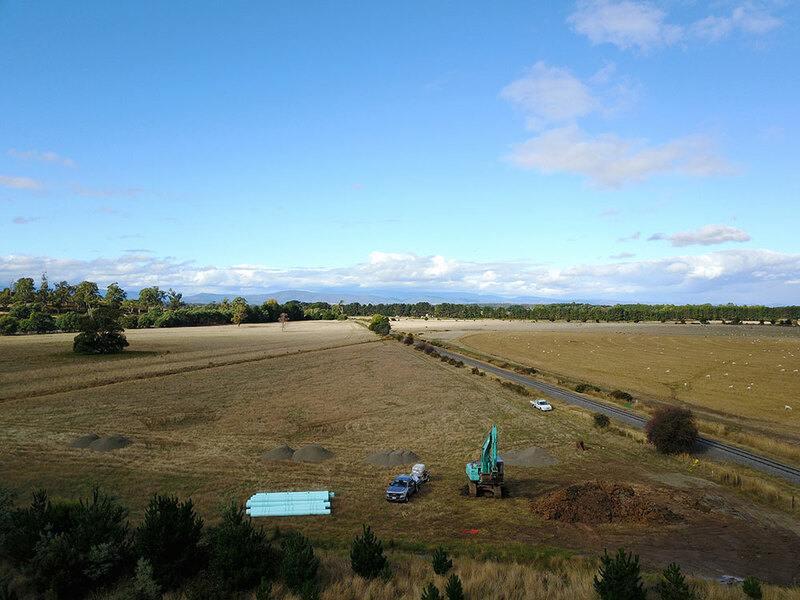 this site forms part of the proposed North Bank Recreation precinct which includes adjoining land containing the Boral concrete batching plant. 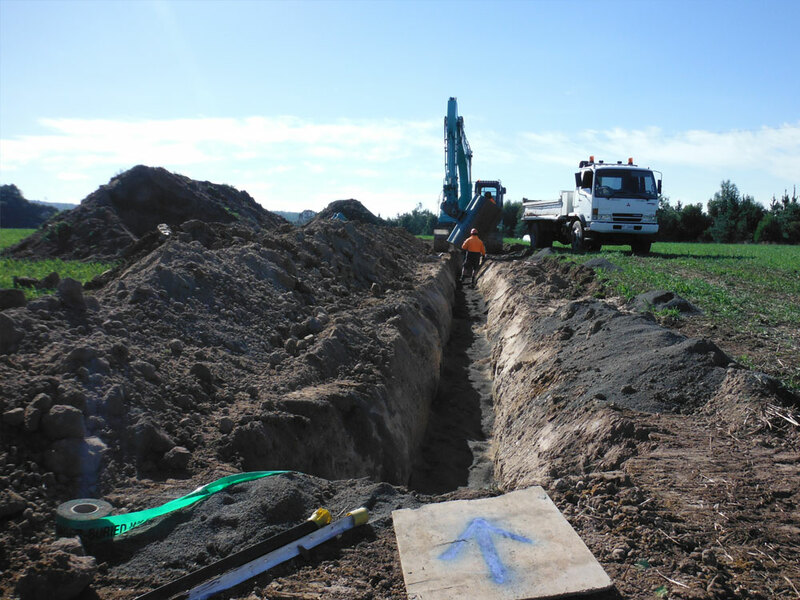 Initial works involve site preperation for the amentities and structures that will be built . 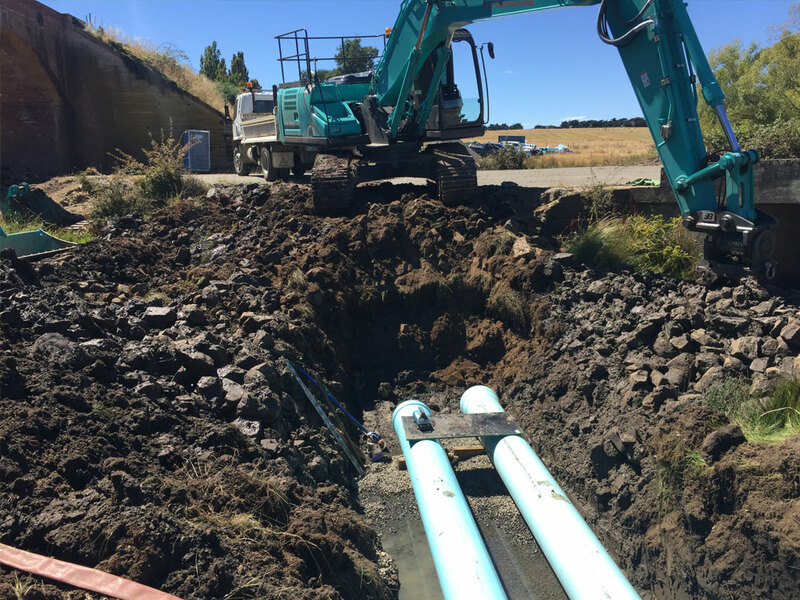 The site works include bulk earthworks, water supply, stormwater and sewage infrastructure and the installation of power reticulation and communication conduits and pits. 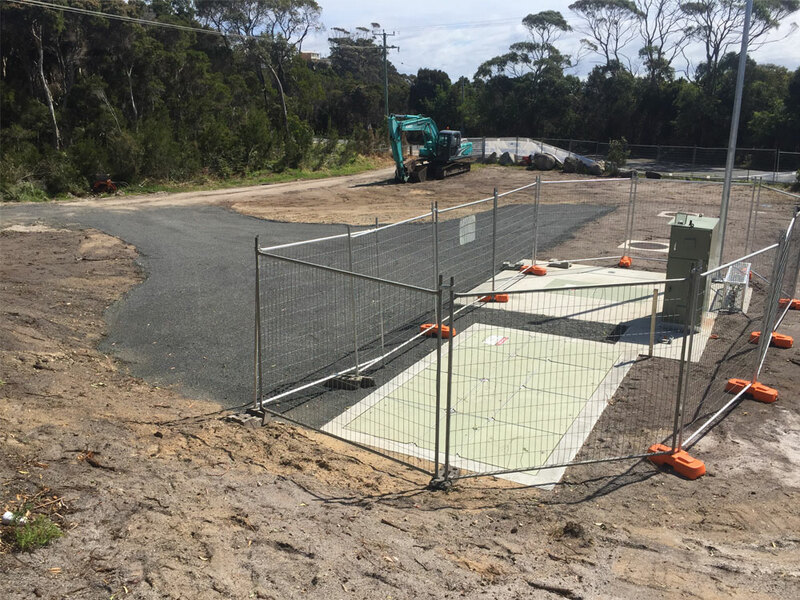 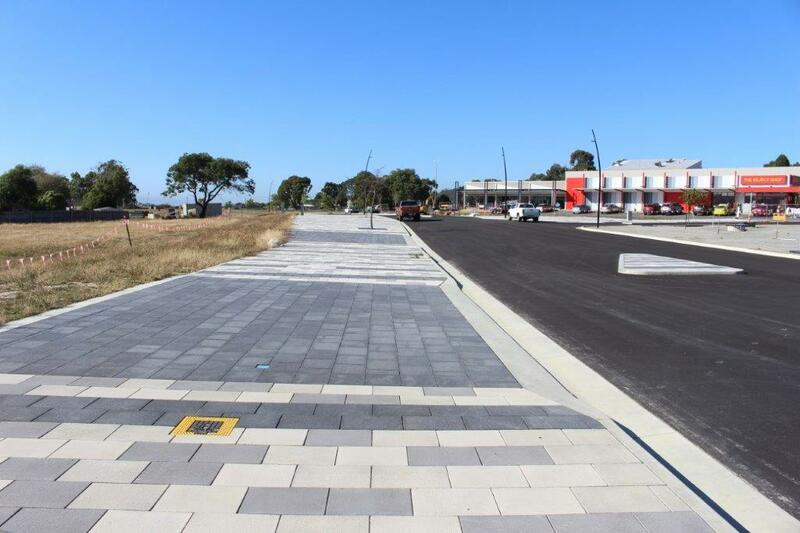 This project for the West Tamar Council consists of the upgrade of Freshwater Point Road with Bigalow Street and Legana Grove. 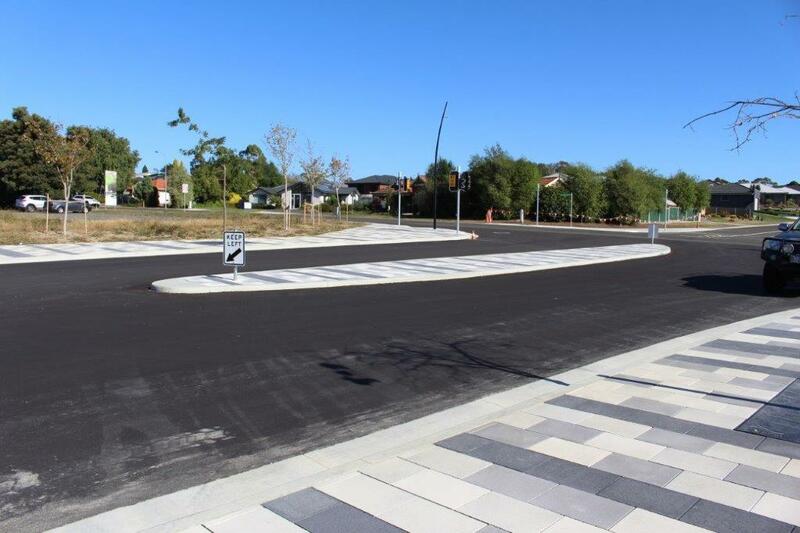 It will include a new Boulevard which has traffic islands, traffic lights, Stomwater Main, Watermain, electrical conduits, irrigation lines, new paving and lighting. 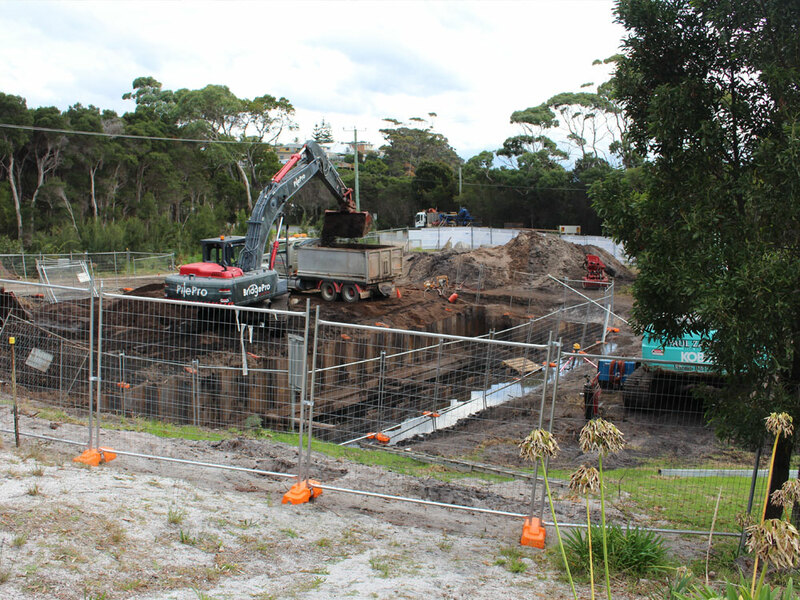 The project also involves major earthworks carting off site and importing select gravels for the new roadway. 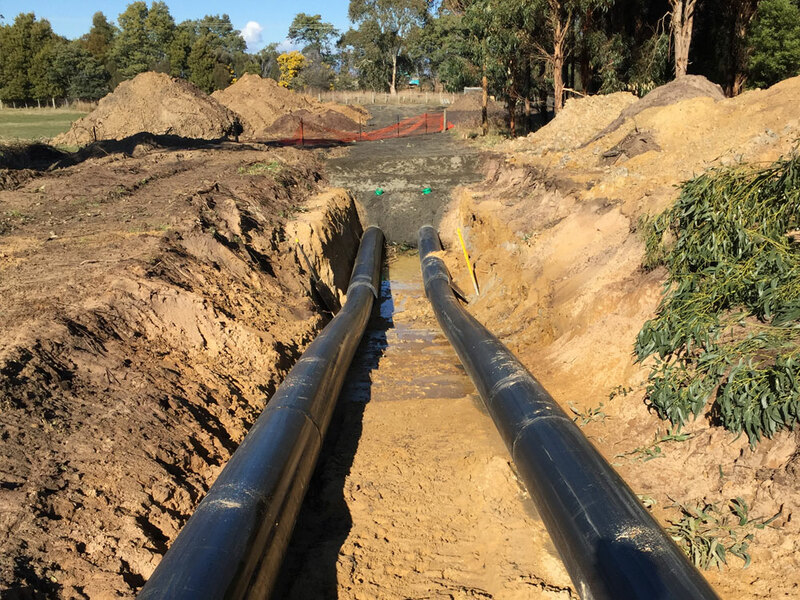 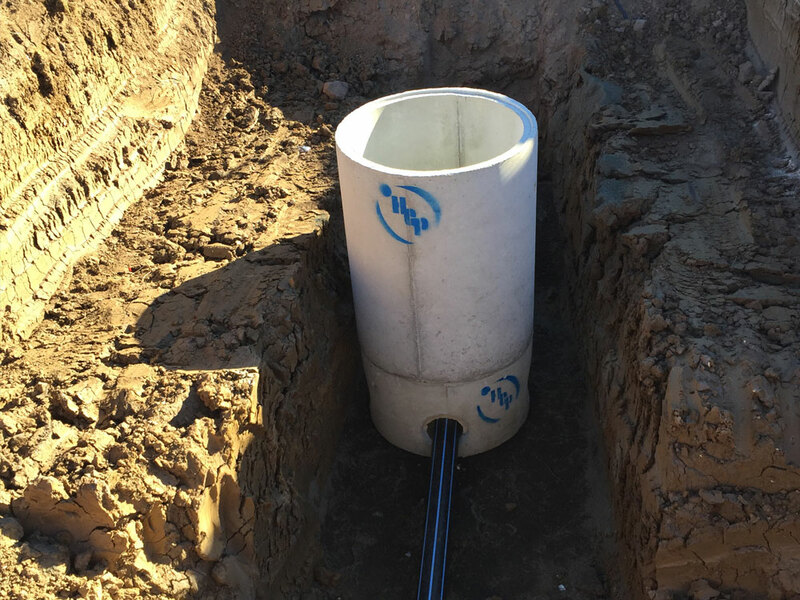 The Longford to Perth Watermain involved the construction of 6.4km of pipework, comprising of a combination of single and dual 375mm PVC and HDPE watermains between Longford and Perth. 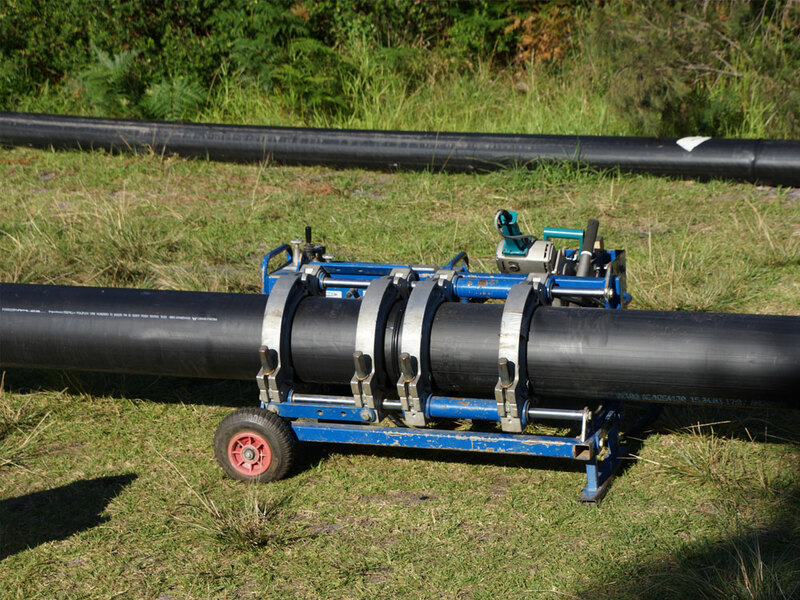 Pipework has been installed using both trenched and trenchless techniques (directional drilling). 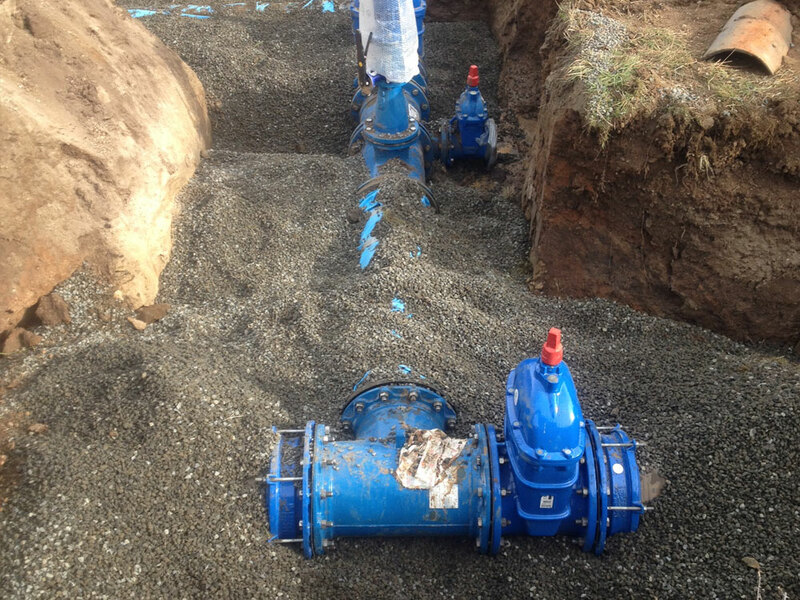 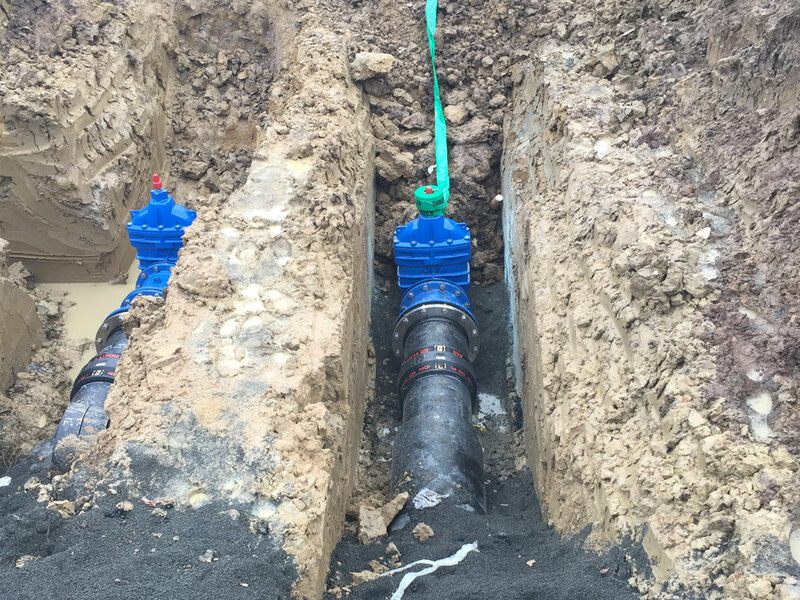 Construction has also included air, scour and isolation valves and connection to both existing pipework and existing reservoir. 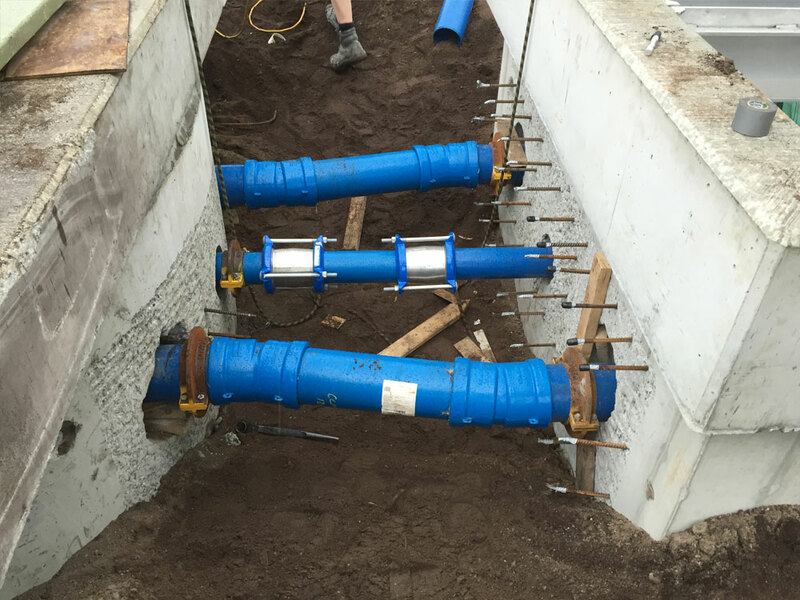 Multiple private connections and RPZD’s were also constructed. 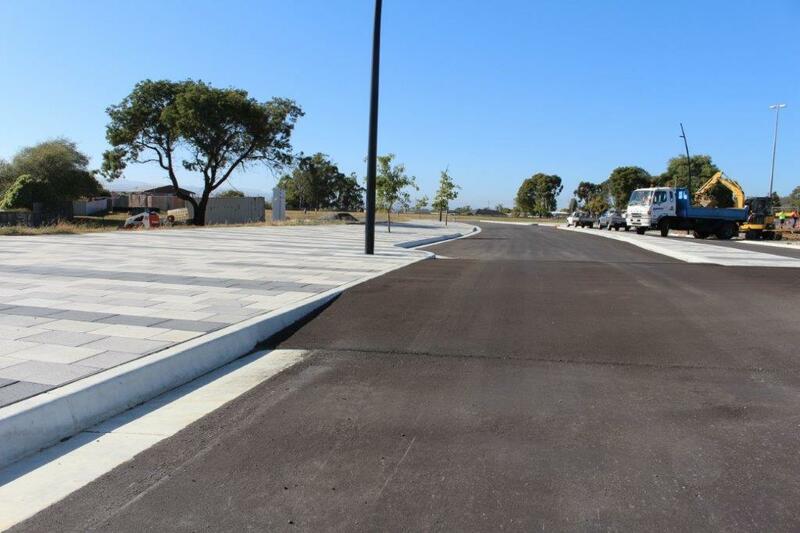 Works were performed on private property, in roads and road reserves and public land. 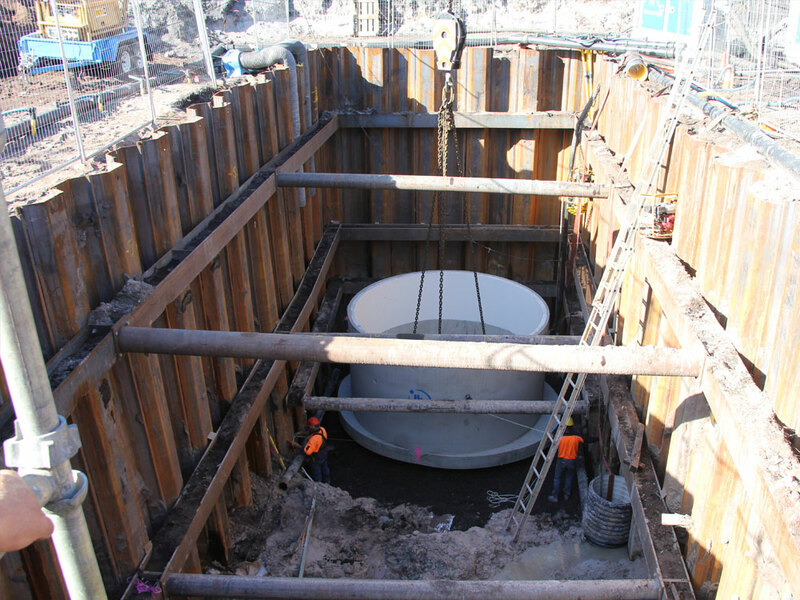 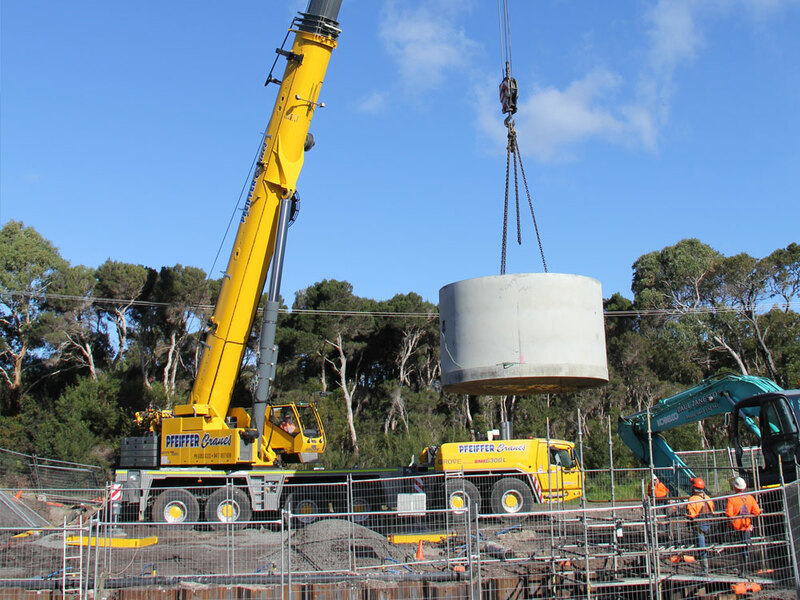 The Jetty Rd Sewage Pump Station was constructed using a 4m diameter well 9.5m deep. 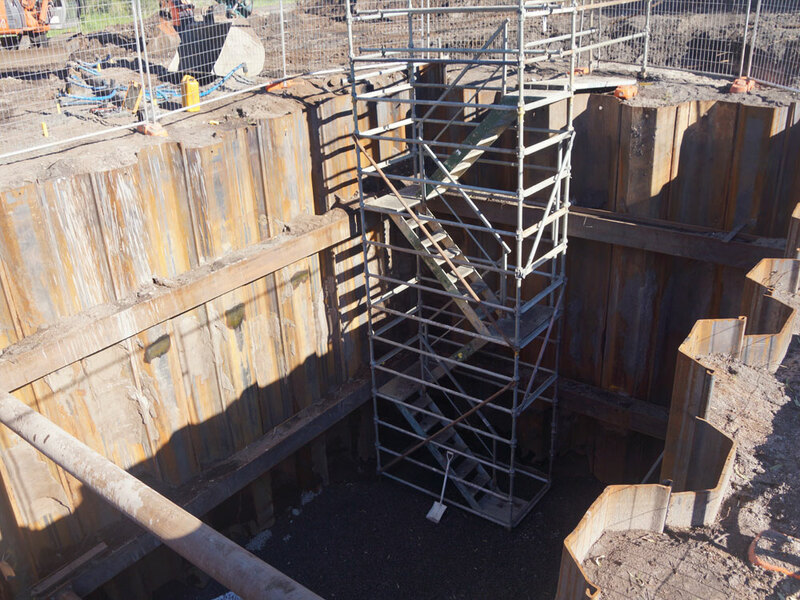 A further two 4m wells 7.5m deep were constructed as storage chambers. 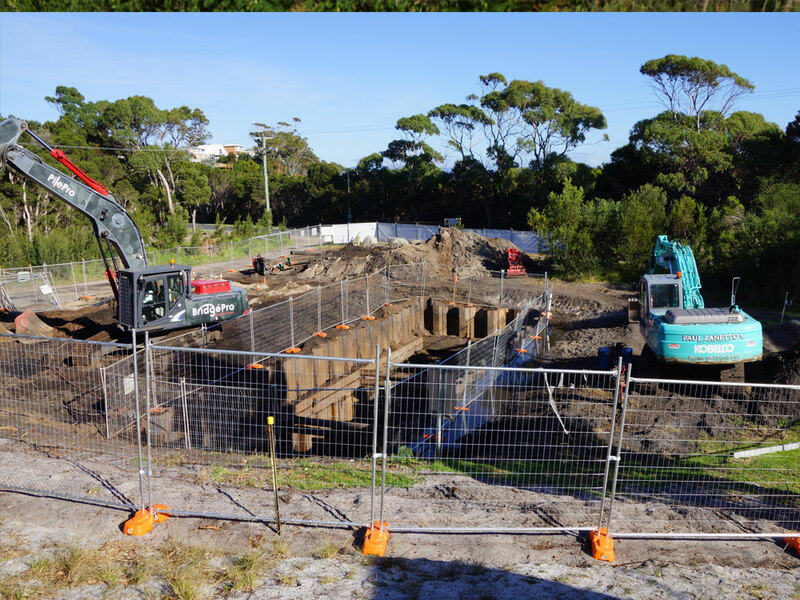 Construction works also included 400m of 225mm gravity sewer pipework (directionally drilled), valve pit, 7 manholes, decommissioning and demolition of the existing pump station, sewer rising main pipework and connection to the existing rising main. 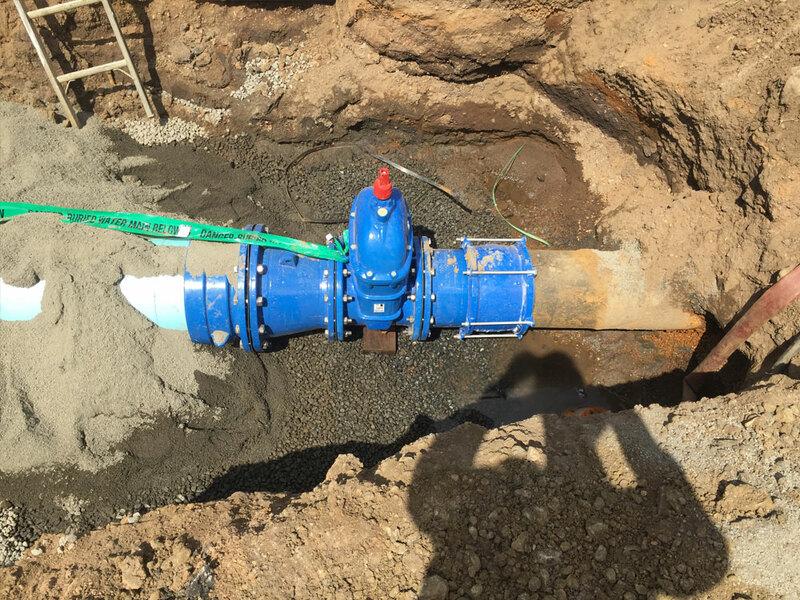 The project was made significantly more difficult due to the sandy ground conditions and ground water which was encountered at a depth of 1m. 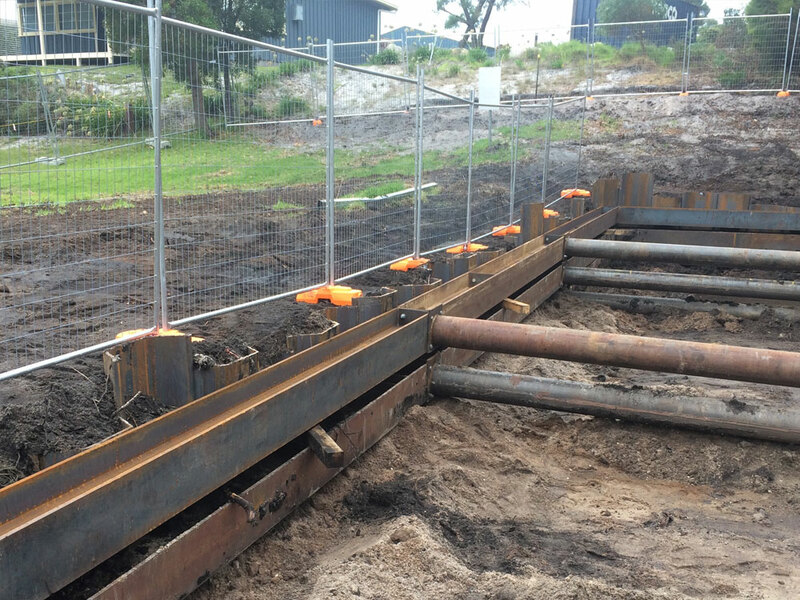 Sheet piling was required to excavate to the required depth and extensive dewatering was incorporated.